Brisbane Removals and Storages’ A grade team of residential furniture removalists are capable and experienced to work with any sized move in Brisbane. From small units, apartments through to large 5-6 bedroom homes, anywhere in the Brisbane area, seven days a week. Totally free on site quotations available for furniture removals. Our residential furniture removals packages are for customers which would like us to do pretty much the whole removal process. 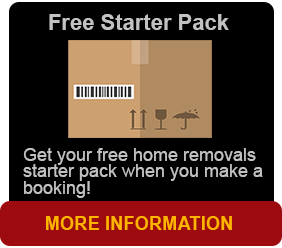 Residential furniture removal package at Brisbane Removals and Storage includes the following…. Paul Tyszyk, the Managing Director of the Company will send an Administration Assessor to your home to quote on your moving and relocation requirements. He will ensure that you have the most suitable vehicle for your relocation and the exact number of professional removalists to carry out your move. If you are in need of packing staff, our professional packing team will arrive the day prior to your move to pack as well as label your household contents using our specialized packing materials. 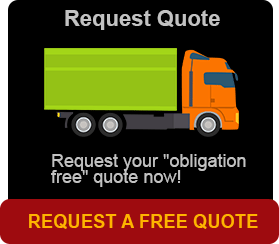 Free on-site quote for packing, moving and delivery. The next day our Brisbane Removals team uplifts your furniture and belongings, transports it to your unit, apartment, home or storage and places furniture and cartons, correctly in the room or area where possible. Don’t have the time to unpack? Our team of professional packers will be there on moving day to unpack all cartons and place items in correct places. Taking with us all unwanted boxes and packing materials. This leaves you as well to continue your normal important tasks on hand and getting you settled into your new home without having lift a finger. How much will it cost for your residential furniture removals? The way on how we calculate and charge is simple. Your hourly rate as quoted will begin once our professionals leave our depot at Darra. The finishing time will be the unloading of the last piece of furniture at your new address. There is a minimum charge of three hours. Then after this we charge to the nearest 15 minutes. We charge you a one off travel fee equal from depot to your home. The travel fee is depot to depot. Our Furniture Removals professional service is Fantastic! • Brisbane removals and storage will turn up on time. • They will all be dressed in standard BRS uniforms. • All our staff are trained and experienced in the furniture removals industry..
• They will greet you on arrival and then get on with it what they do the best. • Every item will be loaded on the truck with care. • Brisbane Removals and Storage employees have been trained how to lift furniture and also how to pack and stack it when it goes on the truck which is, a required skill. Everything is strategically placed so that no damage occurs. • We also dismantle and assemble furniture. We also take care of all your appliances. • Brisbane Removals and Storage will place items in the room specific to its use. We have a variety of different sized trucks to cater to every move small or large. Our Furniture Removals trucks are lined and equipped with high quality furniture removal blankets and straps. At Brisbane Removals and Storage our main goal is to provide a service with quality and comprehensive moving solutions at affordable prices. We provide the highest standard of service for all our clients (new or previous), combining the benefits of modern technology with old fashioned personal attention to detail. We pride ourselves on providing an honest, efficient and friendly removal service. We Are the Best by far. We’re not just experienced in moving and relocating Queenslanders, we’re the best! Across Brisbane or across Australia, we will look after all your valuable household goods and handle with care. Moving valuable furniture and personal belongings is not a complicated exercise, but there are some general basic things that need to be observed. We have the skill to also pack and lift works of art such as paintings and sculptures, collectible ornaments and statutes. • Be always on time. • Disassemble and reassemble beds, cots and bunks. At the delivery end we will place furniture in accordance with your instructions. All cartons will be placed in the correct rooms for ease of unpacking. • Provide you with experienced, uniformed and professional furniture removal staff who will make your move a stress free experience. • Provide you with a clean furniture removal truck that suits the size of your move and is equipped with removal blankets. • Work efficiently and carefully. Many people relocating locally choose to pack up their own items. Soft furnishing items are protected temporarily in removal blankets by the removal company. Brisbane Removals and Storage goes better than that. We pack all your chairs, couches, tables and beds etc. in clean, new plastic covers and bubble wrap them for additional protection from dust and moisture. When you arrive in your new home, your favourite armchair now is ready, nice, unmarked and clean. Relax……..